With Halloween fast approaching, a ghost in the house might seem like a great (and free!) way to add to your house’s spooky aesthetic. However, in the long-run a resident ghost may not be the best asset to your house. 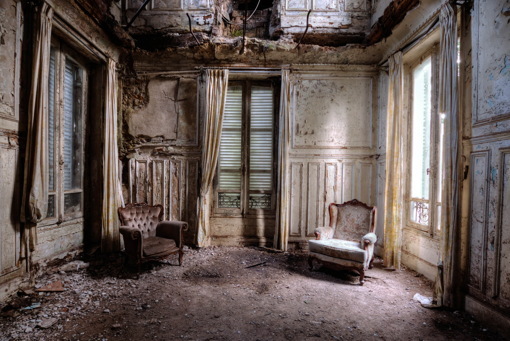 Fastsalehomes.co.uk investigates signs your house is haunted, as well as advice on how to get rid of ghosts. In 2017, 60% of people believed they had seen a ghost or experienced some form of paranormal activity. But what paranormal activity include? Experts such as Alison Wynne-Ryder (author of The Quirky Medium), Hazel Williams from Spectrum Paranormal Investigates, and the experts from Help! My House is Haunted list some of the main signs your house is haunted. Objects falling to the floor, but when investigated there is nothing there. Unexplained sounds like voices, whispers, thuds, unexpected footsteps or someone calling your name. Unexplainable mists, strange shapes and general unusual sights. Doors, cabinets, wardrobes and cupboard opening and closing. Objects disappearing from their usual places and then reappearing again – this is also called the Disappearing Object Phenomenon (DOP), or the ‘borrower’s phenomenon’. The feeling of being watched. Sudden drops in temperature in certain areas, or cold breeze as if someone has walked past you. The feeling that you’re being followed/that someone is standing behind or close to you. The feeling of hair standing on the back of your neck/getting goose bumps. A dark or sorrow feeling in a certain location. Strange behaviour of animals in the house – dogs and cats barking or staring at specific locations in which nothing is there. Waking up between 3 and 4am and feeling dread/as if you’re being watched. Appliances not working or acting up. Smelling unusual smells, such as flowers, perfume, cigars, cigarettes, food, or even the stench of death or decay. If any of the previous criteria apply to your house, chances are you may have a haunted house. 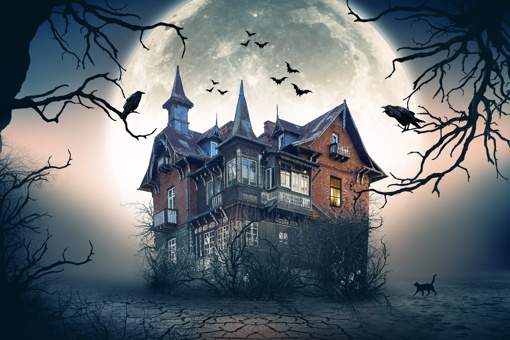 But, before exclaiming “there is a ghost in my house!”, there are some things you should do to be sure to be sure of the signs your house is haunted. Keeping a diary is good way to record any of the unusual happenings going on in your home. It will enable you to discover if there are any patterns emerging that indicate spiritual activity, or whether they are coincidences. Gifted medium Alison Wynne-Ryder also suggests this is a good idea to tell if your house is haunted. 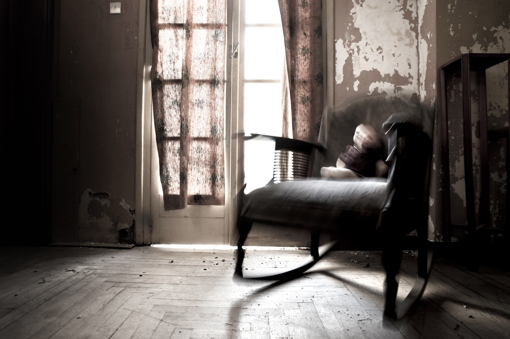 Allegedly, houses with a violent past are said to increase the likelihood of haunted occurrences. Sites such as British History Online or The National Archives provide information on local areas and houses, so that you can put those signs your house is haunted to rest. It may be hard to sense yourself, but try asking visitors if they can feel any ‘bad’ or negative feeling in your house or in a specific location, as these could be signs of a spirit visiting you. Estate agents sometimes claim that they can sense the vibe of a house shortly after they’ve entered, so they could tell you if that’s the case too. Just make sure you don’t let it slip that there is a ghost in the house to potential buyers – they’re likely to be scared off! According to Psychology Today, your feeling of fear is amplified if you’re already worried or scared about something. Therefore, if you hear scratching sounds in your house, you will automatically diagnose this as signs of a ghost, before investigating the possibility of rats. You should call an exterminator or animal expert to try to cross out this possibility. Animals are intelligent beings and it is widely believed that they can sense things humans can’t. Cows, for instance, are believed to lie down when they anticipate a storm coming. This sense is argued to involve otherworldly entities too. So, keep an eye on your dog to see if it reacts on more than one occasion in an unusual way that could be one of the signs your house is haunted. There’s a ghost in my house: what do I do? If these precautionary steps answer your concerns, the best thing to do is call in a medium who has experience in spirit rescue. They will try to help the spirit to move on, and leave your house ghost-free. That is until their return next Halloween!